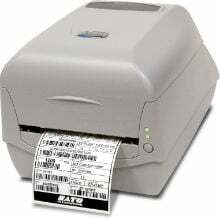 The Argox CP-2140 4" thermal transfer printer is ideal for customers who print a lot of labels but don't have the space or budget for an industrial printer. The Argox CP-2140 can print up to 4 ips, and the ability to use 300M ribbons means fewer roll changes. The SATO 99-C2102-602 is also known as SAT-99-C2102-602	or 99C2102602	.